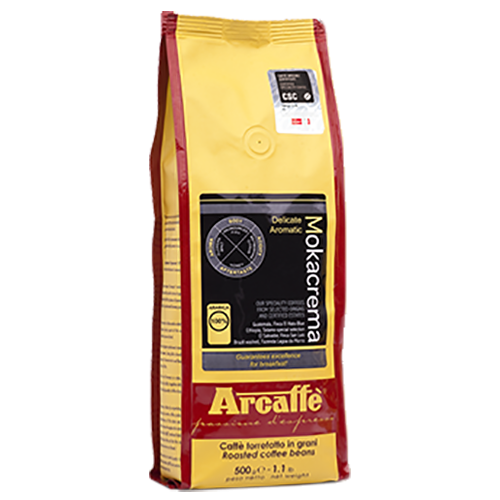 Arcaffè Mokacrema coffee is made ​​from 100% Arabica beans that comes from Central America and India. The coffee gives a good crema with a fruity aroma, low acidity and pleasant sweetness. Arcaffè Mokacrema provides the perfect espresso even for the most demanding tastes. Mokacrema is also excellent with milk as a cappuccino or latte.